Metrix·6 skirted bathtub offers the benefits of this award-winning, eco-friendly material in a 60" x 32" footprint, designed for a three-wall recess application. Enjoy clean lines and a luxurious matte finish, which is soft - almost warm - to the touch, with a deep soak in a tub that retains hot water temperatures longer. 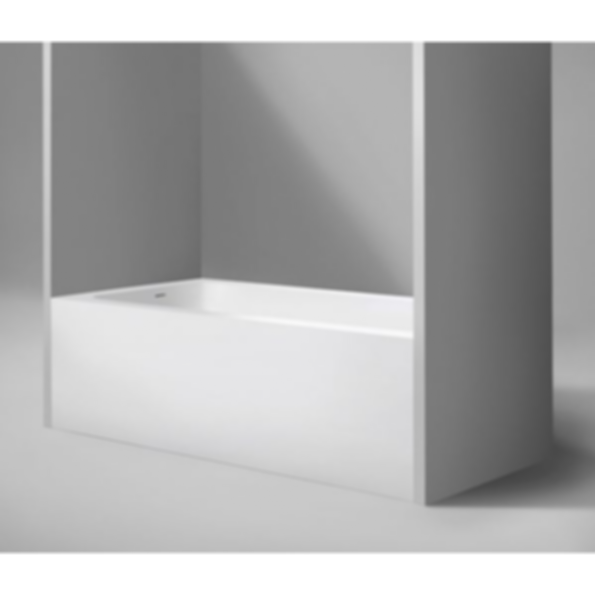 Perfectly suited for condo bathrooms, lofts and smaller spaces, the design of this tub provides the opportunity for alcove applications, with a left drain installation and integral slot overflow. Sister metrix·6 model available with right hand drain installation.